The Spring ‘Take a Break’ program comes to Seattle this week. With emphasis on homelessness, they will visit area programs to understand the many challenges and effort underway here. 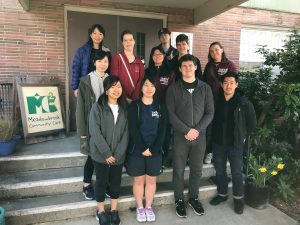 Lodging at Maple Leaf Lutheran Church also enables students to take in the larger Lake City District’s community effort at addressing inequities and advocacy for support. A day at the Meadowbrook Community Gardens and Orchards is also planned. Thank you students for your CARE and concern. This is the fifth year of the program visit to Meadowbrook.